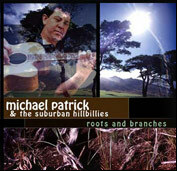 Michael Patrick - Roots & Branches CD : A NJ musician, Michael Patrick, Singer Songwriter is a local performer, Solo Artist, specializing in Country, Folk, Acoustic, Newgrass and Roots Rock music styles. 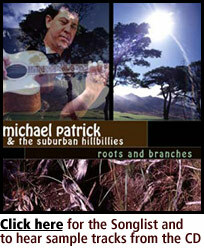 He plays both original and unique out-takes on select covers and is based in Monmouth County, New Jersey, N.J. The long awaited debut release "Roots and Branches" is now available!